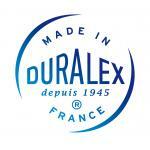 Duralex is a manufacturer of tempered glassware and tabletop products 100% "Made in France". Pioneer of tempered glass since 1945, Duralex has expanded across the world to become one of the most highly recognized brands in its field and the preferred choice of professionals and individuals. Indeed, it has loyally accompanied meals of many generations for decades. 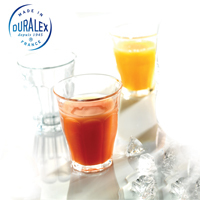 Duralex offers nowadays more than 250 references covering a range of tumblers, plates, dishes, salad, bowls and other table accessories declined under a multitude of colors.